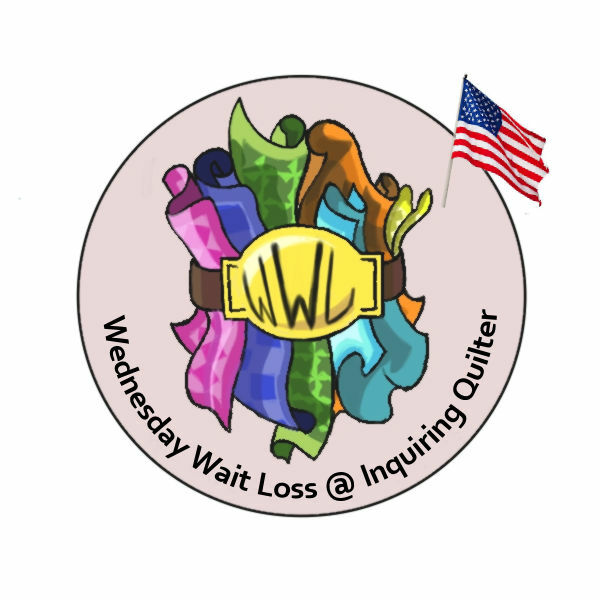 Welcome to Wednesday Wait Loss. 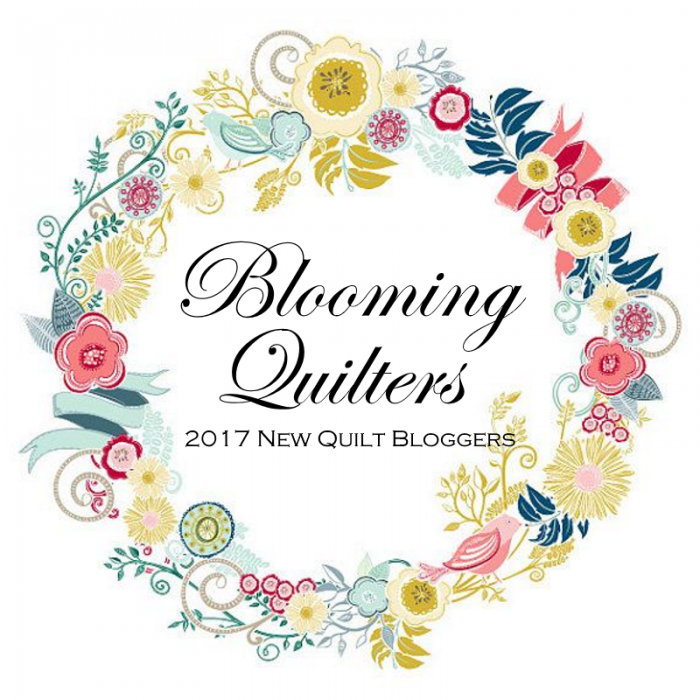 I'd love for you to share your quilty works in progress and recent finishes with us! Let me tell you what I've been up to. I got a box of batiks from Island Batik! As an Island Batik Ambassador, we get a shipment of batiks from the newest collections twice a year. Recently, I received my box of batiks that are mostly available in stores now, and I can't wait to share them with you in new quilt designs. I also got a package of "surprise" batiks--a collection that will be released at Fall Market. If you're curious about what I receieved, click here to read my post. The batiks that arrived were so gorgeous, I immediately started using one of the collections in my July Island Batik challenge. 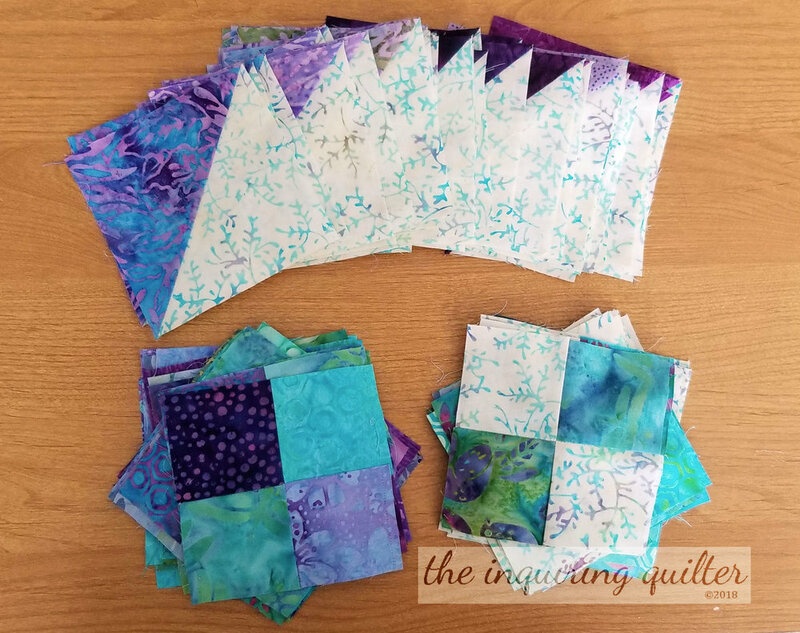 I chose batiks from the Lavendula collection and some matching batiks from my Island Batik stash for my July challenge quilt. The challenge this month is to create a quilt with a secondary design and I have to say the quilt is looking gorgeous! I've continued working on O Tannenbaum, the WIP challenge at Always in Stitches (the quilt shop where I work). Still have a ways to go! Finally, I attended a barn quilt painting workshop at Always in Stitches. This was a special workshop just for the staff, and man was it fun! Yep, it's been a busy week! Let's see who made this week's feature. 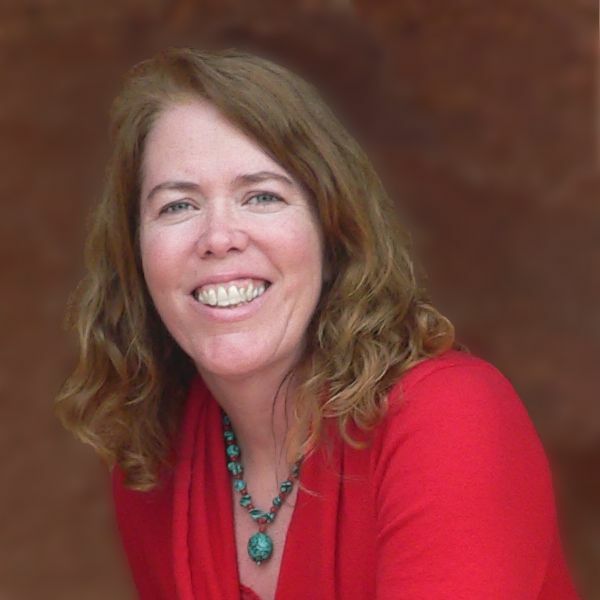 First up this week is Susie Walden. Susie shared a mini quilt she designed on the fly. Susie does this kind of thing all the time--when she gets inspired by a fabric, she buys it and some coordinates then lets it gel. Soon she has a plan, and off she goes! The result this time is an adorable mini quilt. Because Susie doesn't have a blog, she uploads photos directly from her computer. That means they aren't clickable for us so they are small. 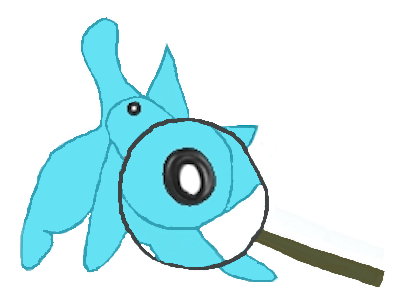 So Susie smartly uploaded a close up of that center. I forget how small those HSTs are, but I remember that they are really tiny! Susie is a master of miniatures. Next up is Melva @ Melva Loves Scraps. Melva shared a quilt finish -- Farmland. This was one of those old works in progress that you finally get around to finishing, so a special congratulations to her! I love it when someone is inspired by Wednesday Wait Loss to finish something they'd put away a long time ago. In order to find time to sew, Melva makes crockpot meals then pops one into the crockpot when she wants to spend a day in her sewing room. Melva shares these crockpot recipes on her blog. Well worth a visit to download them. We can always use more time to sew! Thanks Melva. Finally, I'd like to feature Becca @ Pretty Piney. Becca was inspired to create an adorable block based on an Etch-a-Sketch that she calls Sketchy. You can use the block to quilt cute messages and images meaningful to a special friend or relative. Stop by her blog to get her free tutorial. Congratulations Susie, Melva, and Becca! Thank you so much for sharing your quilts with us. Here's an I Was Featured badge for your blogs. Special Link Up This Week and a Giveaway! This week I'm having a special link up. Followers know that I've been doing this for a few months now. Every month, I choose a special Wednesday to feature a special type of quilt. You'll find a list of special WWL dates at the top of my sidebar. On each of those dates, I'll feature a special type of quilt in the link up and have a giveaway, so don't miss them! Today, we're featuring red, white, and blue quilts. Let me start you off with some quilts of mine. First up is Allies, a mini quilt I made as a present for a friend of mine in England. I was inspired by the fact that both of our flags share the same colors. The design is my own and you can read more about it here. Here is Star Crossed, a quilt that was inspired by my love of Downton Abbey. The fabrics are from the Downton Abbey Mary fabric collection, and the name of the quilt was inspired by her story. The pattern for this quilt is in my book, which is available in my shop. Finally, here is Stargazer, another quilt from my book. This one features reproduction fabrics from my stash, and although it is my design, it was pieced and quilted by my friend Mary Strinka. If you don't have any red, white, and blue quilts to share, you can share whatever you're working on and get one chance for the giveaway. I'll announce the winner next week on Wednesday. A Stash Builder Roll is a roll of coordinated 2-1/2" x WOF strips. Use them in your next jelly roll project! OK, time to link up! Remember, if you need help linking up, click here for detailed step by steps. Tell me..what are you working on?